Genres | What Are You Reading? If you saw my reading log, you wouldn’t think I’m well into my thirties. The fact is that I read a lot of children’s and teens’ books. I know books are written – and marketed – for specific target groups, but I believe any book has the potential to reach other audiences than the writers or publishers intended for. That’s especially true between young and older adults. There are many YA books that are also interesting to adults (hey, I LOVED The Hunger Games!) as well as lots of adult books that can spark teens’ attention too. For example, Kidsbooks bookstore in Vancouver label their adult section “teen plus”. Sixteen people came on a Thursday evening: seven were teens. Lise was impressed by how well read the teens were, “they knew a lot of my books already!” They were also very eager to share their own suggestions. For future book talks, Lise says she would like to focus more on new books or really old ones, that the teens may not know yet. The audience clearly enjoyed the session, as they reported on the feedback forms, and would like to attend similar events in the future. 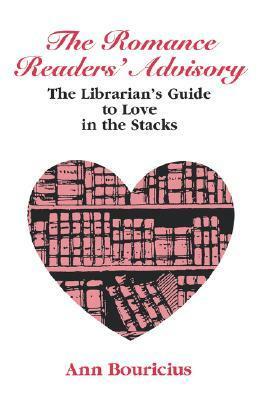 One person suggested that we also include e-books available among the recommendations. Welcome to Woefield Farm, a sprawling thirty acres of rock and scrub somewhere on Vancouver Island, complete with dilapidated buildings and a half-sheared sheep. When Prudence Burns, an energetic twenty-something New Yorker and failed YA author, inherits the farm, she arrives full of optimism and back-to-the-land idealism, but without a scrap of experience or skills. She also seems to have inherited Earl, a cranky old farmhand and banjo-player who’s hiding a family secret. They’re soon joined by Seth, the 20-year-old alcoholic, celebrity-blogging boy-next-door who hasn’t left the house since a scandal with his high school drama teacher; and Sara Spratt, a very focused eleven-year-old looking for a home for her prize-winning chickens, including one particularly randy fellow called Alec Baldwin. When Prudence discovers that the bank is about to foreclose on the property, she has to turn things around, fast – and a few wilting organic radishes won’t cut it. 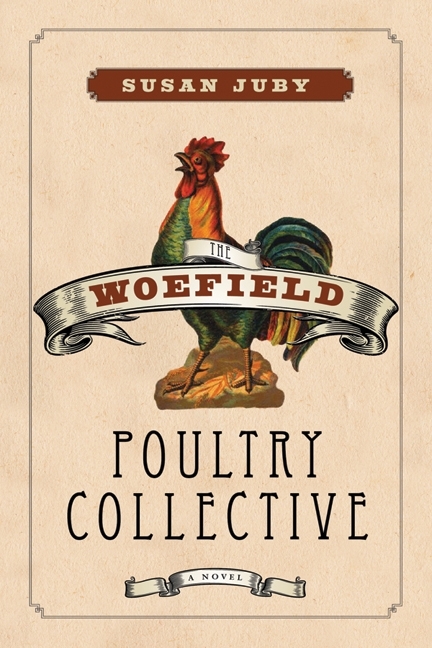 The four of them must pull together to become an unlikely family and find surprising ways to save Woefield. Sequel Republic of Dirt just published this spring. Noir-ish mystery set in 1947, filled with plot twists. 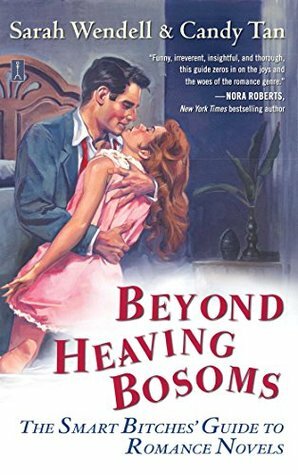 Fifteen-year-old Evie’s step-father Joe is back from World War II with a surprising amount of money, and starts a business. But he’s acting strange and drinking too much. Out of the blue he suddenly takes her and her mother for an extended visit to Florida. There, he is none too pleased to bump into his old army buddy, the charming and handsome Peter. Evie finds herself falling in love for the first time with Peter, whom she feels treats her like an adult. But very slowly she realizes she is being drawn into a complicated web of lies between the adults. After a boating accident results in a suspicious death, Evie has to testify at the inquest. She must rethink not only her romance with Peter but her relationships with her parents, as everything she thought she knew about all three of them is turned upside down. 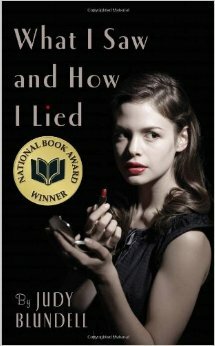 What I Saw and How I Lied won National Book Award for Young People’s Literature. 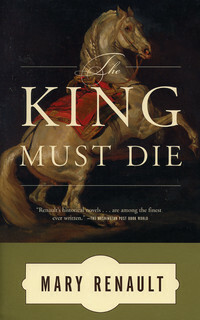 The King is dead and the Greatcoats are disbanded, leaving Falcio Val Mond and his two companions reduced to working as bodyguards for a nobleman who refuses to pay them. Things could be worse, of course. Their employer could be lying dead on the floor while they are forced to watch the killer use magic to plant evidence framing them for the murder. Oh wait, that’s exactly what’s happening. 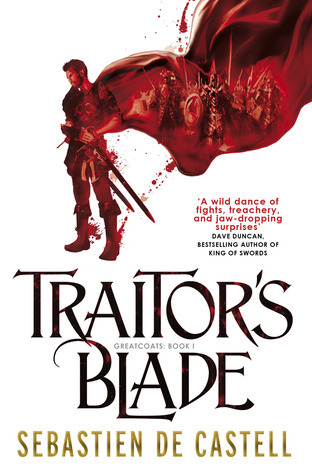 With swashbuckling action and rapier wit reminiscent of a combination of the Three Musketeers, Game of Thrones, and Terry Pratchett, Traitor’s Blade is the first book in Sebastien de Castell’s dynamic new fantasy series, continuing in Knight’s Shadow coming out this summer. A riveting reimagining of the Arthurian legend, told through the eyes of Merlin’s apprentice Gwyna, a scrawny orphan servant girl he finds hiding in a river to escape invading Saxons who destroyed her village. She seeks protection from the bard Myrddin, who uses Gwyna in his plan to spin tales transforming young Arthur from a local thug into the heroic King Arthur. 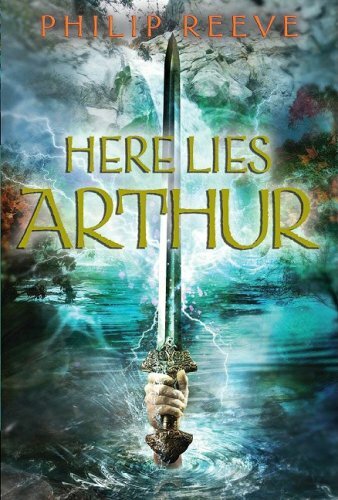 Here Lies Arthur won the UK’s Carnegie award, and deserves to be known better. 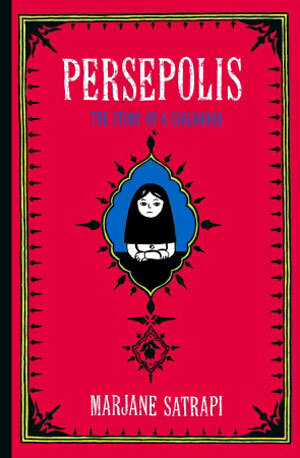 Satrapi’s autobiography is a timely and timeless story of a young girl’s life under the Islamic Revolution. Descended from the last Emperor of Iran, Satrapi is nine when fundamentalist rebels overthrow the Shah. While Satrapi’s radical parents and their community initially welcome the ouster, they soon learn a new brand of totalitarianism is taking over. Outspoken and intelligent, Marjane chafes at Iran’s increasingly conservative interpretation of Islamic law, especially as she grows into a bright and independent young woman. 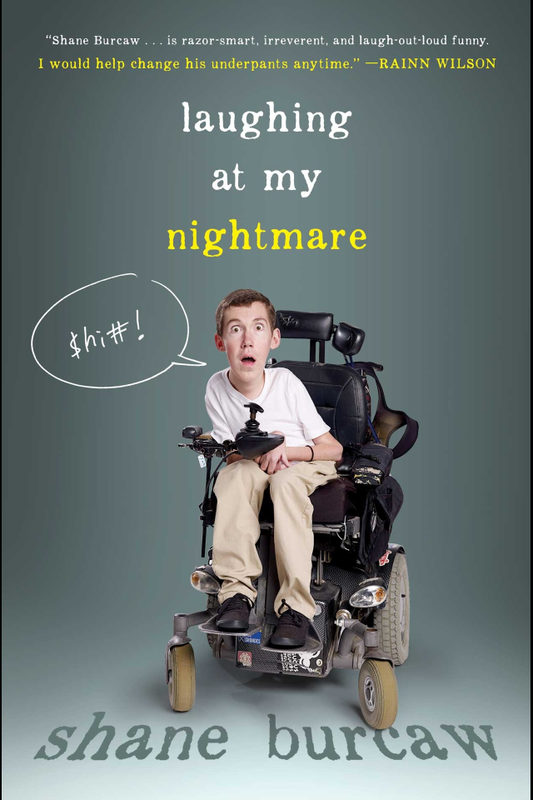 With acerbic wit and a hilarious voice, Shane Burcaw describes the challenges he faces as a twenty-one-year-old with spinal muscular atrophy. From awkward handshakes to having a girlfriend and everything in between, Shane handles his situation with humor and a “you-only-live-once” perspective on life. While he does talk about everyday issues that are relatable to teens, he also offers an eye-opening perspective on what it is like to have a life threatening disease. Theseus is the grandson of the King of Troizen, but his paternity is shrouded in mystery – can he really be the son of the god Poseidon? When he discovers his father’s sword beneath a rock, his mother must reveal his true identity: Theseus is the son of Aegeus, King of Athens, and is his only heir. So begins Theseus’s perilous journey to his father’s palace to claim his birthright, escaping bandits and ritual king sacrifice in Eleusis, to slaying the Minotaur in Crete. When Crete makes Athens send seven boys and seven girls as tributes to compete to the death in the Bull Ring, Theseus volunteers to go. (Sound familiar? This story inspired Suzanne Collins to write The Hunger Games.) Renault reimagines the Theseus myth, creating an original, exciting story from Theseus’s own perspective as an ambitious, brave, and lusty young adventurer. Sixteen-year-old Sloane Kendrick is determined to produce a video in less than two weeks to get a film school scholarship. Unfortunately, she must work with Isaac Alexander, an irresponsible charmer with whom she shares an uneasy history. On the heels of this opportunity comes a horrifying discovery: a bald spot on her head. Horror gives way to devastation when Sloane is diagnosed with alopecia areata, an autoimmune disease has no cause, no cure, and no definitive outcome. 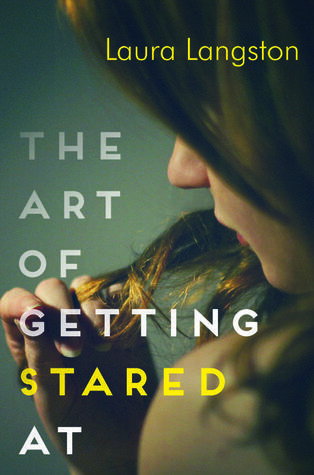 Determined to produce her video, hide her condition, and resist Isaac’s easy charm, Sloane finds herself turning into the kind of person she has always mocked: someone obsessed with her looks. And just when she thinks things can’t get any worse, Sloane is forced to make the most difficult decision of her life. Photo by Dan Foy, on Flickr, under Creative Commons license. 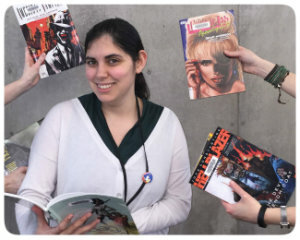 Ana Calabresi is an Auxiliary Librarian at Burnaby Public Library. This entry was posted in Booktalking, Genres and tagged Burnaby Public Library, Programs for teens, RA conversation, Readers' Advisory, reading on June 9, 2015 by Ana Calabresi. This entry was posted in Genres, RA Tools on May 7, 2015 by Mariya.